Princess Rapunzel. 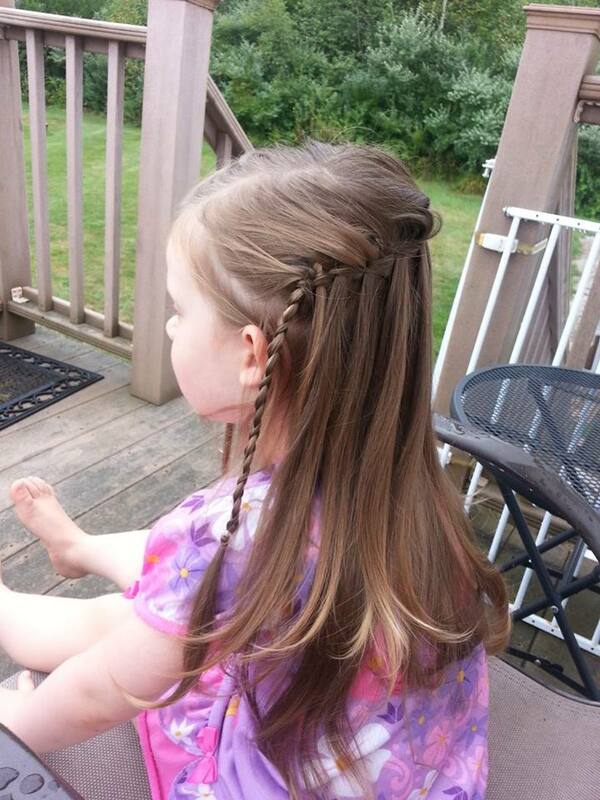 I call her that because she is obsessed with Rapunzel. 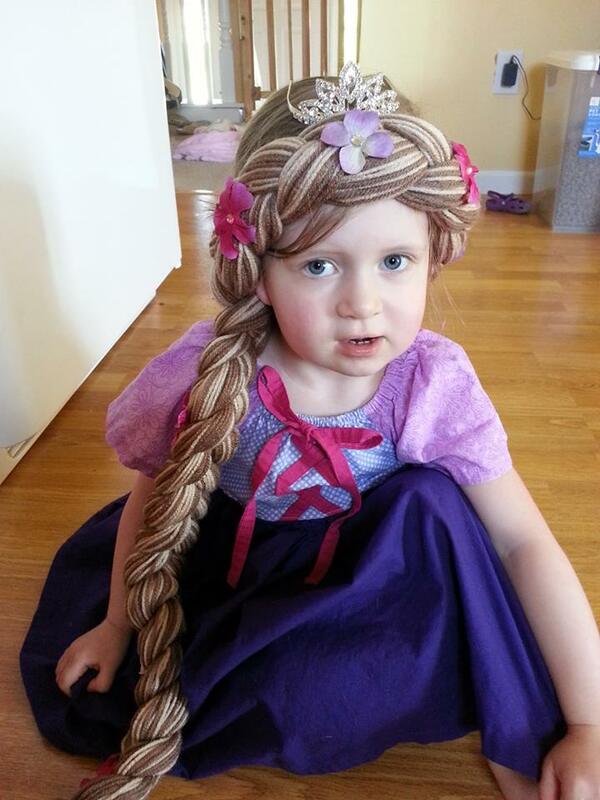 She loves everything about Rapunzel and actually wants to be her. 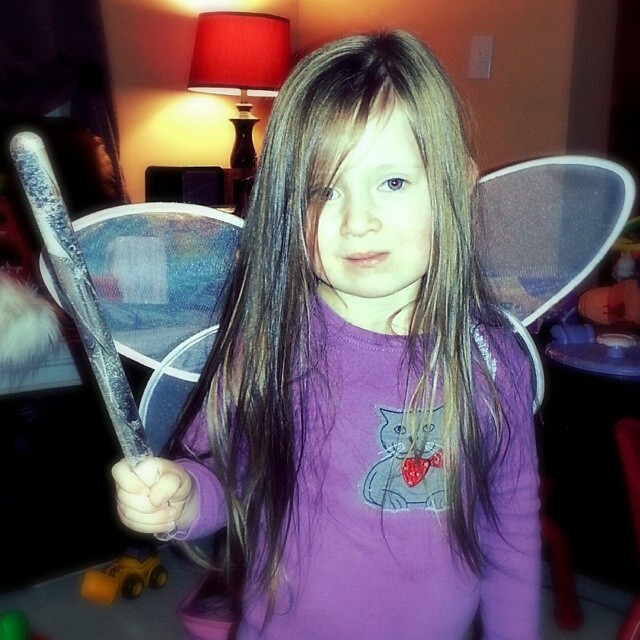 She even wears her Rapunzel dress once a week and would wear it more if I let her. She loves her long hair and I have to admit, I do too. I cannot confirm or deny if my nightly pregnancy prayers were for a healthy baby, a safe delivery and a baby with hair. Maybe I did… Maybe I didn’t… But if I had, my prayers were answered. 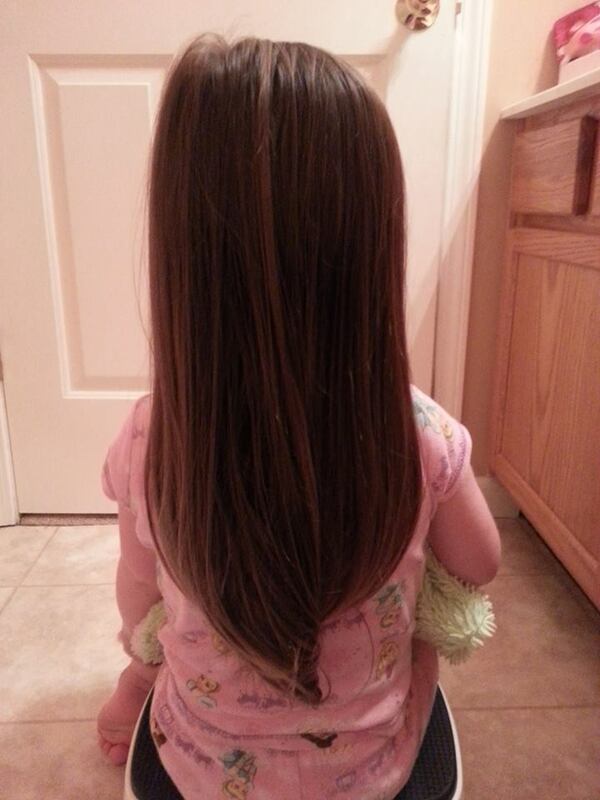 She was born with hair and it has grown quite a bit in her 3 1/2 years. I’ve talked with her about getting a haircut for a while now and her answer has always been a definitive “no”. After all, if you’ve seen Tangled, you know that when Rapunzel’s hair gets cut, it turns brown and doesn’t grow anymore. That is not something that she wants any part of. Love her! Are you going to save some locks? I’m not sure. I think I will cry when they cut it! Hahaha!! I didn’t cut my sons hair until he was 2.5 just this past thanksgiving. He has the cutest curliest surfer dude hair that some people tell me what a pretty little girl I have (dressed in cargos and lighting McQueen?) I didn’t want to do it. It my hubby said it was dangling in his face and looked sloppy and he was right. It I refused to take him so where where you tell them just a little and then they end up with a military fade! I have never cut hair before but I did his get haircut myself and cried a bit when I picked up that little curly dangle he first grew and I taped it in his baby book and my husband made fun of me. A what if I only trimmed like an eighth of an inch it seemed like tons. No one even noticed I did it except me. Not sure why it’s so hard. Haha!! It made perfect sense! I feel the same way! It’s like a part of them that we don’t want to let go of. I feel the same way, but I haven’t even been able to take a couple of inches off! PR’s hair at the bottom has just a tiny bit of curl and I know that it won’t come back when I cut it. Sounds like your curls are safe though!